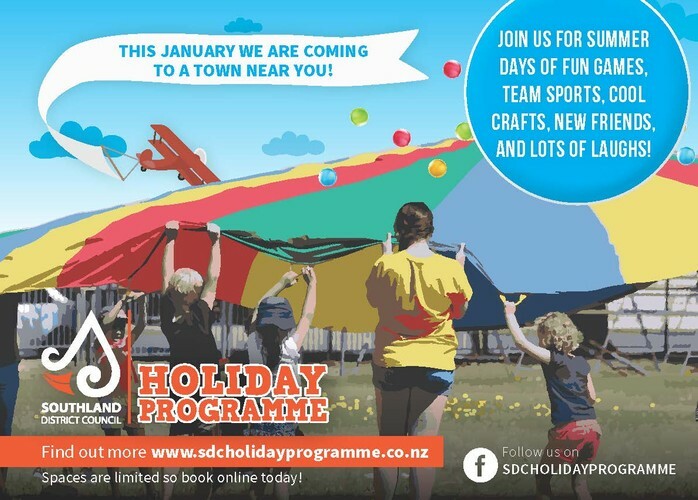 The Southland District Council Holiday Programme is coming to you this January! Send your kids along for days of sports, crafts, games and challenges. We will be bringing a range of crafts to get creative with, and sports equipment to get active with, every day. 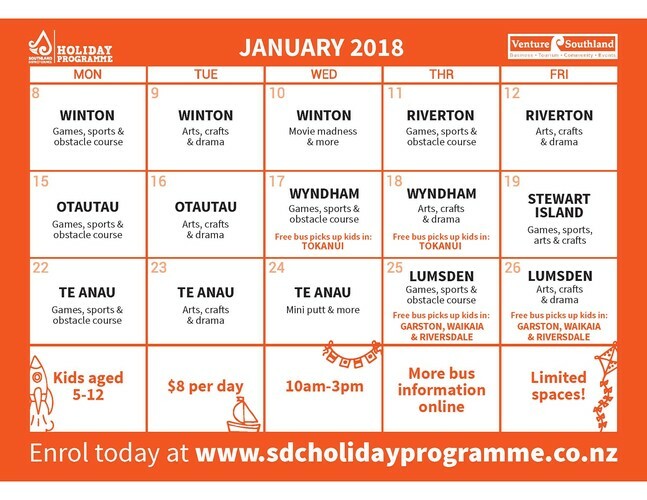 Like the SDC Holiday Programme on Facebook: www.facebook.com/SDCHolidayProgramme to follow the action and receive any programme updates.